Managing AML/CFT risk for Instant Merchant On-boarding. ekyc, instant on-boarding, digitisation, fintech, regtech, sandbox – these are the buzz words that are often thrown around. Spoken by many but understood by few. Every payment provider is looking at some form or shape ways to reduce the time to issue QR codes, install contactless terminals or provide access to their internet payment gateway. Some banks have even attempted to slap on a “web form” and subsequently calling it a day. Here are the nuts and bolts to make your instant merchant on-boarding closer to reality. Let’s begin with FATF (Financial Action Task Force) guidance for a risk based approach for New Payment Products & Services (NPPS). The inter-governmental body have published guidelines on how to mitigate AML/CFT risk specific to NPPS. 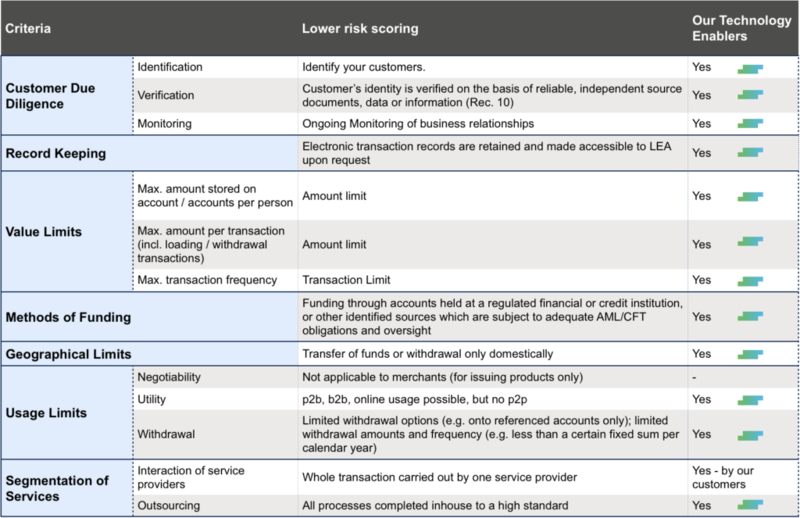 In the following FATF-NPPS risk matrix table, there are total of seven broad criteria and we have mapped out the content in lowering the risk score for each of these. FATF guidance actually recognises the need for a risk based approach on NPPS given that an overly cautious approach to AML/CFT set of controls may result in unintended consequences of excluding entities from the financial system and thereby compelling them to use services that are not subject to regulatory and supervisory oversight. The very first thing that needs to be done is for stakeholders within your organisation is to form a steering committee with senior leaders from the payments business, audit, risk and technology (Let’s call them BART). A senior management buy-in is a must as a successful NPPS project will require risk based approaches that will likely entail policy changes. Start by stating the business objectives. Be specific. Instant on-boarding can mean many things to many people. State clearly if it’s instant approval, provisional approval, instant collection, instant activation, next day etc. A risk based approach requires your BART committee to focus on risk exposure mapped to the probability factor. Implement all the required controls to mitigate this exposure. A BART team that consist of experienced risk professional team members will be able to propose sophisticated controls to not only address AML/CFT requirements but also fraud risk and new business requirements. For example, on the value limits risk criteria, you should consider having dynamic transaction amounts and frequency limits based on merchant categories; where more stringent controls are implemented on new accounts vs. known accounts. These controls should be as automated as possible. The technology should support the processes and controls that you wish to implement. NOT the other way around. Work with a technology provider that understands how to enable your payments business. There are lots of ground to cover as far as AML/CFT is concerned. Having deep tech and deep expertise across payments risk management will make the journey towards instant on-boarding a lot smoother. A robust origination platform will allow you to implement flexible AML controls, talk to other core systems, manage legacy platforms and deal with exception flows. The biggest mistake that a financial institution can make is to first purchase some payment technology that has a “KYC” / “Digitisation” module and then figuring out how to make everything else revolve around it. Spending a good number of years in large corporations in both technical and client facing roles, I thought I had seen it all and I could handle any challenges thrown at me. Startups should be a walk in the park right? 2017 proved that I was wrong on both fronts. I had not seen it all. And I certainly didn’t have the answers to everything at my fingertips. As a company, we had to respond rapidly to solve to people, process and technology challenges. From project delays to talent acquisition to HR issues, we saw it all this year. I had to learn to juggle. Prioritize in a heartbeat. Learned new subjects. Figured ways to make things better.. and more importantly, faster. I personally had to overcome my fear of failure that life throws at us every now and then. As challenging as 2017 was, it was by any measure a stellar year that any young startup could have wished for. Our client list multiplied, our technology leapfrogged, we filed multiple patents, expanded overseas and most importantly, grew a core team of bright, passionate and determined individuals who are looking to make their mark in reshaping ePayments. Einstein once said: “It’s not that I’m smart, it’s just that I stay with problems longer”. While I’m very certain that Mr. Albert was being humble when he said it about himself, he was spot on with regards to solving real problems. There isn’t any shortcuts in life and we have to be steadfast, resourceful and patient. There’s a lot of work that needs to be done in our quest to make ePayments smarter, faster and safer. 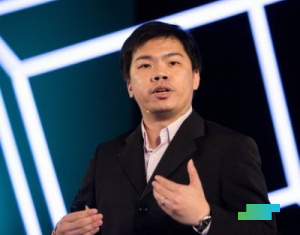 We will have to continue to put our heart and soul into making our products better and ultimately make our clients successful in their payments business. The road to success isn’t always straight or paved. What I’m certain however, is that we will look back to 2017 as the year that thought us how to scale as a startup and the year that laid the foundation required to be a uniroach. Today, most of us would find it hard to go an extended period of time without interacting with technology of some description. And who could blame us when we have apps that let us control the temperature of our homes and cameras that connect us with every corner of the world? Technology today is designed to make our lives easier but it also helps to make sure that the environmental footprint that we leave behind is a little bit smaller. It’s wonderful to know that we’re able to create something completely new that makes a positive difference to the people, and world, around us. And that’s usually where we stop thinking. We use the tech, enjoy how easy it makes our lives and occasionally even take a moment to marvel at its benefits, but how many of us can honestly say that we’ve taken the time to stop and think about where that technology came from? 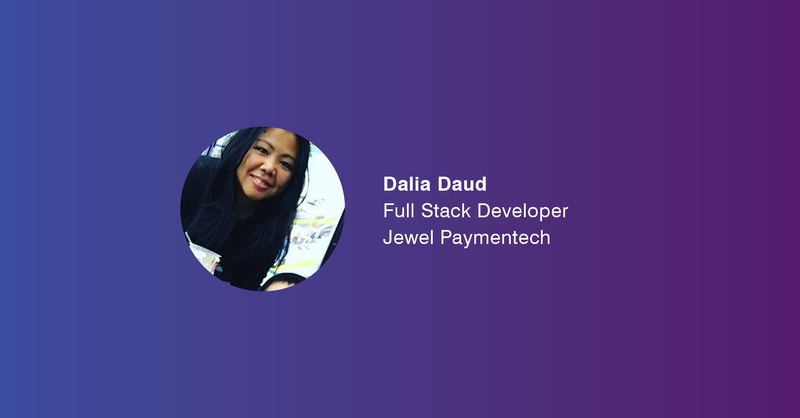 Dalia Daud is a Full Stack Developer for Jewel Paymentech, a business with a mission to continuously develop software that ensures the security of banks and electronic payments. 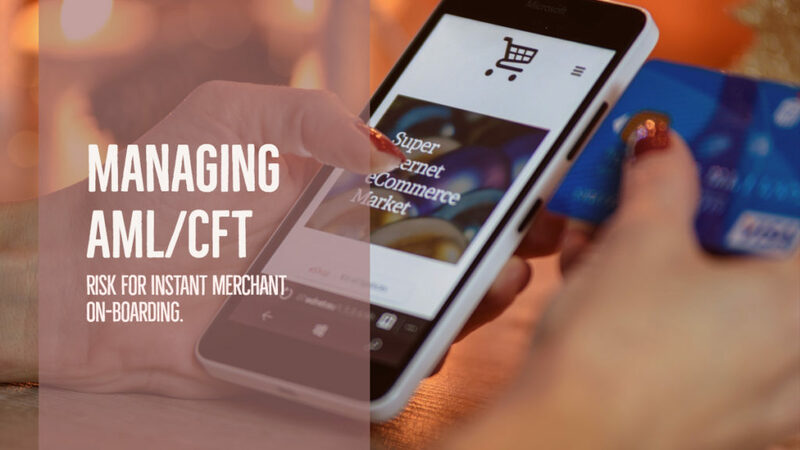 It’s the creative minds of people like Dalia that find new and innovative ways to revolutionise merchant risk management – because, let’s face it, none of us want to ditch electronic payments and go back to carrying cash. We spoke to Dalia to find out more about her work, and understand what attracted her to the developer world in the first place. Developers are the geniuses behind our favourite computer programmes and operating systems – designing them to make our lives easier and more efficient. Developer’s, such as Dalia, work to identify the crux of a problem, designing solutions and dictating how it should look and feel for the end user. Not only are software developers responsible for outlining and creating the code and design for a program, but they also require excellent collaboration skills. Contrary to what’s commonly assumed, Dalia informed us that developers actually spend a lot of time teaming up with their peers and other programmers in order to create the best end solution possible. What about the developer world appealed to you? The ability to create something out of nothing, especially to the benefit of others, absolutely fascinates me! Researching and learning about a problem helps to ensure that the solutions we develop are the right solutions. It took me time to learn and accept that with every individual success comes a strain of failures. In order to achieve that final success, you need to learn from all the failures, uncover the whys and learn the best way to move forward. You need to be able to accept and expect this; otherwise, you’ll find yourself stuck in the mud. What advice would you give a fellow developer at the start of their career? If you’re passionate about continuously learning and developing creative solutions to solve real-world problems, then give it your all! It’s not going to be easy, especially at the start, but it will be worth it. Developers never stay still and are always evolving, moving towards the next big thing. For Dalia and thousands like her, it’s a creative playground that creates opportunities to make a difference to our lives.